So one of the things I’m working on out here in Portland, in my new freelance life, is a book. Tentatively called Build Stuff with Wood, it’s similar to this blog but focuses on wood projects. 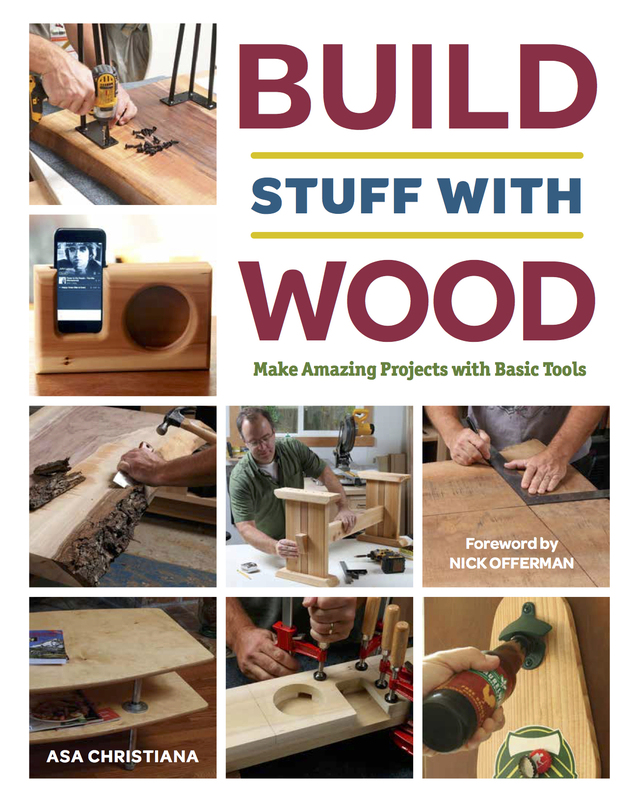 Where the blog will cover all things building, from home improvements to interesting makers I meet to tools I test out, plus who knows what, all of the projects in the book feature wood in some way. This isn’t your dad’s book on fine woodworking. I love that craft, but the book is for a new generation of builders, young and old, basically anyone who has the itch to build but very little tools and kills. My goal is to prove that anyone can build worthwhile projects. I mean anyone. This coffee table project is a good example of what you’ll find in the book, and I’ll roll out more as the book nears the finish line. By the way, it’s going to be published by The Taunton Press, my old employer. The secret to this project is plumber’s pipe hardware, which is one of my favorite ways to build. The flanges can be screwed to anything. You can make light fixtures with them, and all sorts of tables. Here I’m adjusting legs so they are all the same length. I cut out some birch plywood, rounded and sanded the edges, put on a polyurethane finish and screwed on the pipe parts. Sometimes easy looks easy, but sometimes it looks really nice. That’s what the book is all about. This is Baltic birch plywood, a better grade of plywood that’s also called Russian birch sometimes. It has lots of layers, which make the edges look cool when polished, and it combines with the pipe to create an industrial look that I dig.